A few weeks ago I was in Scotland. 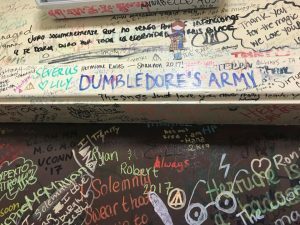 Aside from the castles, thrones, and really old stuff (more to come on that later) I had the chance to indulge in some Harry Potter fandom. Just to clarify, I’m not someone who knows Harry Potter trivia in detail. I’ve read the books, seen the movies, and I’m a fan of both and of the mystique that surrounds all things Potter-ish. That said, while in Scotland I did engage in some literary fandom. 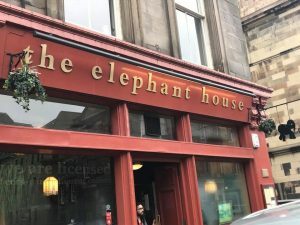 Months before our trip my sister-in-law, Kate, sent me a link to The Elephant House. 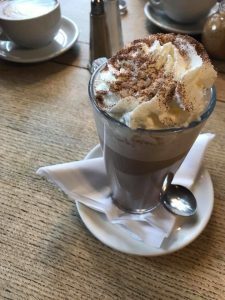 This (for those who don’t know) is a lovely little tea & coffee shop in Edinburgh where JK Rowling spent some time writing Harry Potter while looking out the windows at amazing architecture of that historic city. 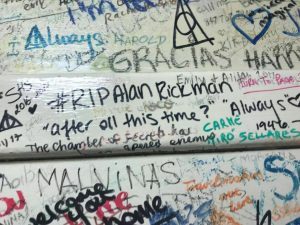 After some more research I discovered just how rooted in Harry Potter this little cafe has become. 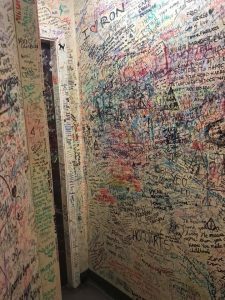 People from all over the world visit and, because it’s become the thing to do, write messages on the bathroom walls. 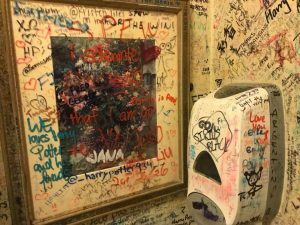 Initially, the owners and staff tried to paint over the graffiti, but it’s rumored that by the end of the day the walls would be covered again. And so they gave up. 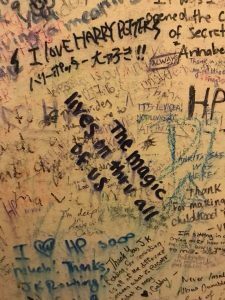 Now, the walls of the bathrooms, the mirrors, pictures, towel dispensers, even the ceilings have messages to and from Harry Potter fans from across the world. 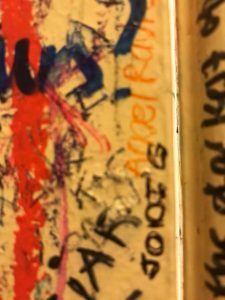 And so, not only did I have a beverage–Fleur’s Fantasy–and a delicious piece of Victorian sponge cake, I made a point to use the bathroom (and I brought a marker and put my name on the wall!). Me too! Who knows if it’s even there still. May have been written over by now.